October’s book club challenge was to choose a Stephen King novel to read for the spooky month of Halloween. It is unusual for individuals to all read different books so our discussion should be very interesting this week! As a teenager and young adult, I had been an avid reader of King but I have not read any of his books for almost twenty years – I think the last book that I had enjoyed was the Green Mile which was released in series in the late 90s. In preparation for book club, I did read other than his memoir, On Writing, which described a very interesting man with a vivid imagination and his own demons of the past. It was difficult to choose which book since Stephen King is a prolific author who has penned 178 novels! Firestarter was first published in 1980 and was also a movie staring a young Drew Barrymore. I may just have to check out NetFlicks and see if it lives up to the novel. King spins a complicated tale of Andy McGee who, with his late wife, had been involved in a medical experiment to make a little extra cash in college. He met his wife at the questionable experiment where they both had different memories about the night in the Lot 6 lab. The couple married and had a daughter, Charlie, who was born with the special skill of pyromania. After McGee’s wife is killed and Charlie kidnapped, Andy rescues his daughter and the to go on the run attempting to keep ahead of the special agents who are hungry to run further experiments on the only remaining individuals from experiment. Charlie struggles to contain her powers and to to deal with the aftermath of destruction and death that results from her pyromania. Not wanting to give away too much plot, the duo are captured and strive to be reunited and free from The Shop agents. This novel is fast-paced and very creative. His rich description of the characters enables the reader to “picture” them in their minds. I enjoyed revisiting Stephen King and will keep The Dead Zone and Needful Things on my list of books to reread after I get through my large pile on my bedside table! 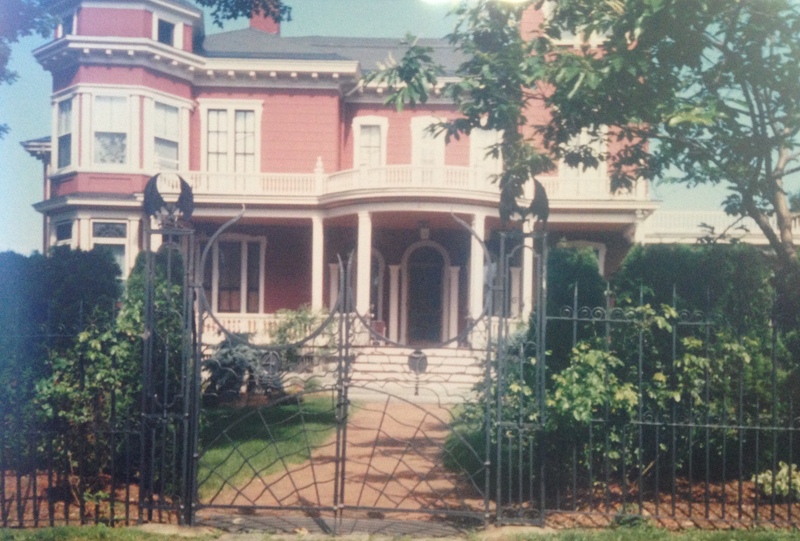 Photo of Stephen King’s home taken in 1996. This entry was posted in Fiction, Stephen King and tagged Firestarter, Pyromania, Stephen King. Bookmark the permalink.